A creative new website for an old local favorite. 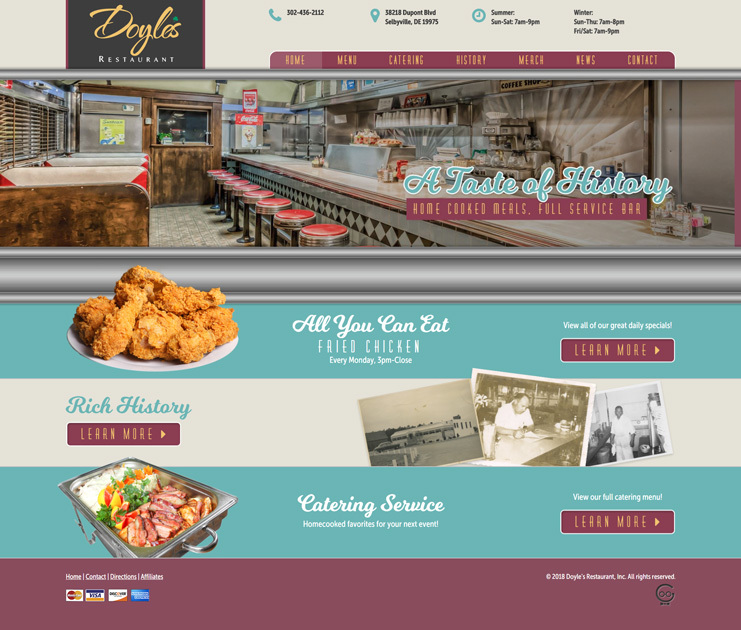 Design a creative website to easily display contact information, menu, catering, and describe the history of this charming diner. With some old school flare, this website was transformed from drab to fab. Important information is located at the top of the page for easy mobile access, while other information is easy to find right on the home page. The history of the diner is displayed with a custom photo gallery.